Lochaber Taxis have a modern fleet of 8, 6 and 4 seater cars, driven safely by friendly and helpful drivers, ensuring you arrive at your destination relaxed and comfortable. Our knowledgable drivers can offer scenic tours and trips to Lochaber’s many interesting tourist attractions, ideal for small parties of visitors. We can offer transport assistance for people undertaking long-distance walks or on extended walking holidays in Scotland - see our Transport For Walkers page. Lochaber Taxis offer a door-to-door service for all hotels and B&B’s around Fort William & Lochaber and our reputation has won us exclusive contracts with several accommodation providers. 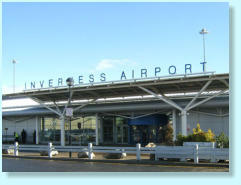 Lochaber Taxis can offer pre-booked journeys to all transport hubs at competitive rates. We are Fort William & Lochaber’s leading taxi firm, able to call at any taxi rank, almost any time* We can provide assisted trips from home or work to the shops, doctor, dentist, hospital, day centre etc. Whether you’re a local on a routine journey or visiting Lochaber on the trip of a lifetime, Lochaber Taxis will carry you in style!